The EUR/USD currency pair is moving according to the eur usd analysis. The RSI indicator has broken the support level (level of 1.3400) which means that similar support level has been broken at the price chart. One can try to sell the pair with the stop behind the local maximum. In case of Franc there are signs that the trend can reverse. 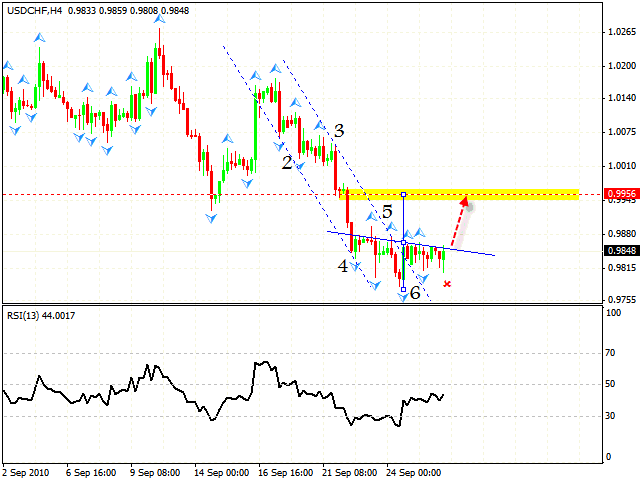 We have “head & shoulders” pattern with the target in the area of 0.9956 for the technical analysis usd chf. One can try to buy the pair only after the neckline is broken. The stop must below 0.9810. Australian Dollar is in no hurry to go down. Yesterday we saw the process of testing of the new maximums. However , technical analyis aud usd shows the formation of the “triangle” at the forex online RSI indicator which will probably be broken downwards. The closest target of the fall will be in the area of 0.9460. 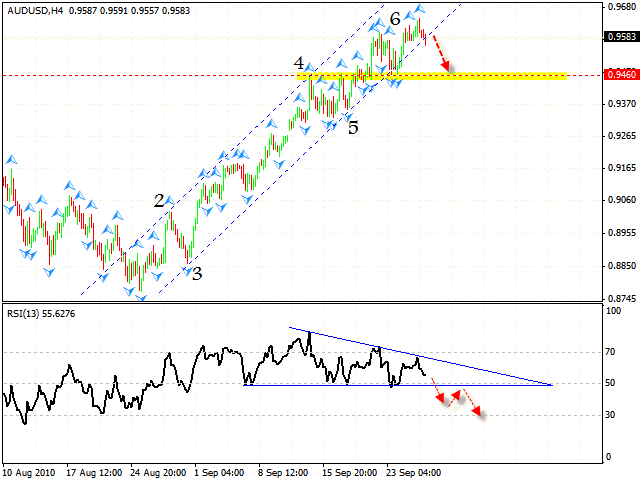 Analysis nzd usd shows that New Zealand Dollar is moving towards the predicted direction. 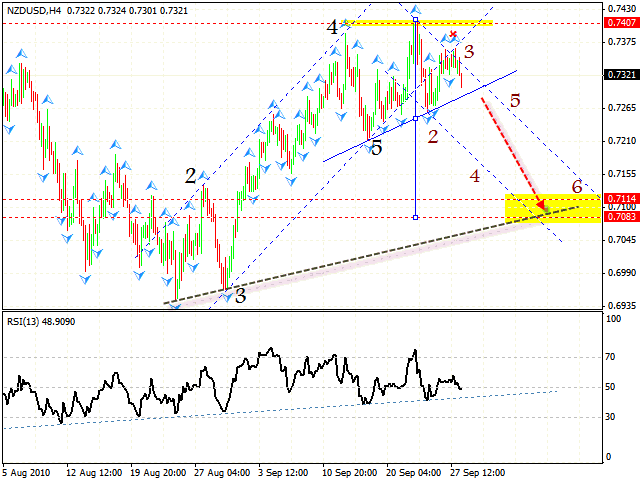 One can open short positions, the target of the descending pattern is in the area of 0.7114. Current price movement is more and more like a reversal pattern and in case the pattern is broken the target will be a bit lower, in the area of 0.7083. 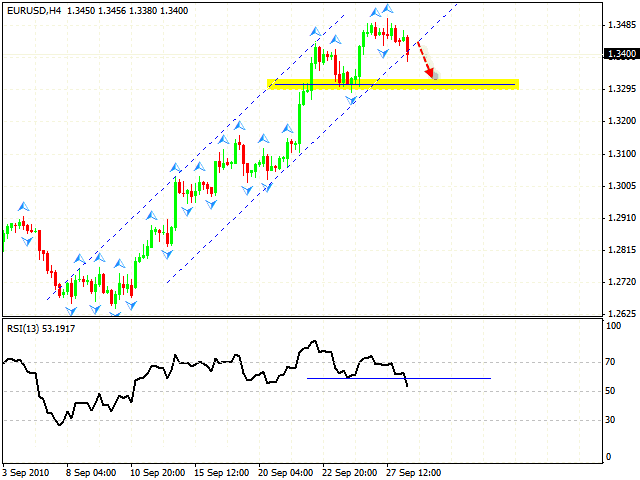 The RSI indicator is going to test the rising trend’s line for the fourth time. If the trend line is broken, it will mean that the similar trend line is tested at the price chart in the area of 0.7090.